Responsible Labrador Retriever Breeders " "
1. Care about every dog you use for breeding, and every pup they bring into this world. All of the dogs you breed you should consider as part of your extended family. a. Volunteer at a rescue or shelter to get a good indication of what type of dogs end up in these places. b. Make sure you have found good homes for all of the pups before you breed them. Ask interested buyers for deposits to create a more stable commitment. c. Make the commitment that you will take in all puppies or dogs that you have created, regardless of how old they are, if they are left without a home. d. Keep in contact with the owner so they can count on you for information about how to train, care, etc. for the dog. e. Insist that all of the puppies you bring into this world are spayed or neutered to prevent owners from thinking about irresponsible breeding. You have the power to make this happen, simply make it apart of the contract. 3. All good Labrador Retriever breeders interview prospective owners before handing puppies over, to ensure the dogs will be going to a good home. This means finding out what their dog background is, and how familiar they are with the Labrador breed. You should also find out about their lifestyle and family life. 4. Know what the hereditary illness are of the Labrador Retriever breed, and do everything in your power to ensure that the liters you produce are free of such defects. For instance, Labs are prone to elbow and hip dysplasia, as well as eye problems. Make sure you know the heritage of both the sire and dam you are using to ensure healthy puppies. 5. Make sure you are familiar with the ideal temperament and breed standard of the dog. Your goal is to breed puppies that meet the standard requirements. This means not breeding overly shy or aggressive dogs. 6. Take care to not over breed your dogs or dog if you are only supplying the dam. To start with, you should only breed one liter per year, and never breed the same dam more than once a year for the sake of her own health and the wellbeing of her puppies. You also shouldn’t use a young dog for breeding. Use dogs that are at least two years old. 7. No Labrador Retriever breeders should sell their dogs without a written contract. This is for yours, the buyers and the puppies protection. When you present the contract, make sure you go over all of the essential points. Don’t assume that the buyer will read it over. 8. Take an active role in the puppy’s lives before they are given to the owners. Socialize them, have them checked out by the Vet, and make sure they receive all of their shots. 9. Know all of the risks that are associated with breeding, and determine whether or not you are ready to make the financial commitment, and if it is worth risking the lives and health of your dogs. 10. Make sure you know all of the laws in your area that apply to Labrador Retriever breeders, and you abide by them. The more you know about how to effectively breed Labradors, and the more you research the proper conduct that all Labrador Retriever breeders should follow, the better breeder you will be. 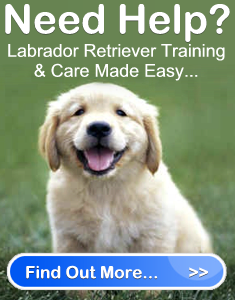 Responsible Labrador Retriever Breeders	Overall rating:	4.8	out of 5 based on 64	reviews.